Jim Kay was commissioned by Mike Jolley at Templar Publishing to produce a set of seven cards for the Hallowe'en Pack for the Storyworld card game. 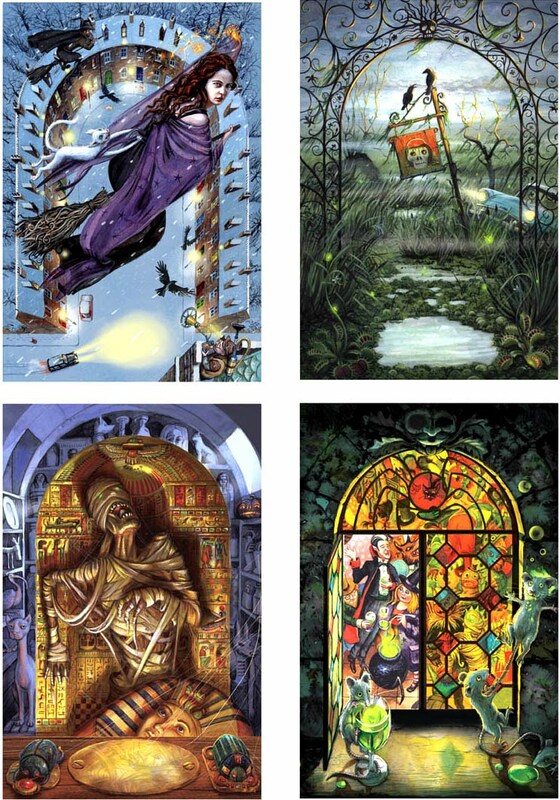 Four are shown here, and more of Jim's illustration work can be seen here, and also on Jim's own site. Two of the Storyworld images will be on show as giclee prints at the Illustration Cupboard gallery in London from August. Contact me if you're interested in prints of any of the other card images. Jim's original drawings and etchings for other commissions are also available.